I needed a new pair of glasses and an eye exam. They were able to get me in really quickly. The doctors worked quickly and efficiently but also took great care to make sure they got my prescription right. They told me exactly how much my insurance covered. They got my a super cute pair of glasses and had them ready within 24 hours. The ladies who work at the front desk are very nice and friendly! I highly recommend this office. 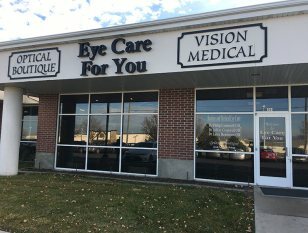 So far I can say that eye care 4 you has a customer for life!!! Sue is really awesome and her customer service is impeccable. Time after time she has gone above and beyond. Thank you eye care 4 you and thank you as well Sue.